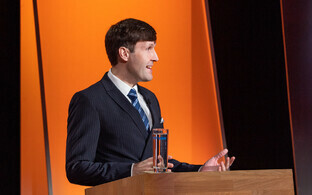 On Tuesday night, Conservative People's Party of Estonia (EKRE) deputy chairman Martin Helme made an appearance on ETV's Esimene stuudio. Several comments he made during the 20-minute programme triggered criticism and calls for apologies from doctors all the way to President Kersti Kaljulaid herself. 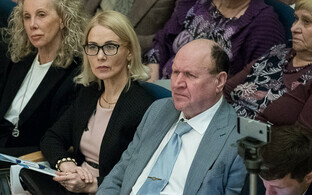 "I have a hard time understanding what those [Estonian Gynaecologists' Society, ENS] people are involved in," Mr Helme said on Tuesday night, commenting on an appeal by the ENS regarding EKRE's wish to see the Estonian Health Insurance Fund (Haigekassa) halt the funding of abortions. "What is their argument? Is the right to life not a human right? A fetus is a separate life; it is new DNA. Ever year in Estonia, in recent years, some 4,500 to 5,000, 6,000 children are killed before they are born." When the host pointed out that these were gynaecologists writing, who deal with issues involving abortion, pregnancy and family planning on a daily basis, not once every four years during election campaigns, the EKRE deputy chairman responded, "These are gynaecologists who are defending their moral nature, having systematically participated in these abortions and thus violated their Hippocratic Oath. I don't agree with them coming and telling us about human rights." President Kersti Kaljulaid, currently on a working visit to Argentina, wrote on her Facebook page on Wednesday, stating that such an attack on Estonia's doctors is unacceptable. "Everyone is entitled to their own personal convictions and position on the issue of abortion, but regardless of these convictions, an attack on our professional doctors, who work according to their professional ethics and the law, is unacceptable," the president wrote. "It is all of our — and especially politicians' — responsibility to ensure that we do not break up our society." The president posted these comments in sharing a link to an article in which the Estonian Medical Association (EAL) condemned Mr Helme's comments. The EAL finds that Mr Helme's Tuesday comments about doctors on ETV's Esimene stuudio were unacceptable of an MP and that he owes gynaecologists an apology, the association said in a statement sent to ERR. The association added that it would like to recognise Estonia's gynaecologists for their professional and successful work, thanks to which Estonia's sexual and reproductive indicators are among the best in the world. "The number of abortions has decreased manyfold thanks to gynaecologists," it noted. "Doctors help and advise people, but they must also respect their patients' decisions," the EAL wrote. "Abortions are unfortunately one aspect of gynaecology. To accuse gynaecologists of violating human rights and their Hippocratic Oath for doing their jobs is unjust and offensive." Speaking to the press following coalition talks on Wednesday, EKRE chairman Mart Helme, Martin Helme's father, said that doctors haven't understood the matter. 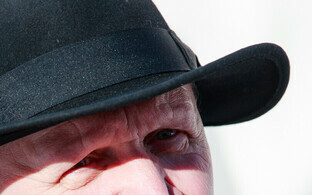 "I am of the opinion that killing a fetus is killing," the elder Helme said. "I believe that all those doctors who are accusing Martin Helme over contrived reasons have not understood the matter." Appearing on Esimene stuudio on Wednesday night, however, Centre Party deputy chairwoman Kadri Simson apologised on air for Martin Helme's comments. "If [Centre chairman and Prime Minister] Jüri Ratas has failed to apologise before Estonia's gynaecologists, then I certainly apologise on behalf of the Centre Party," she said, adding that she has come in contact with many dedicated gynaecologists. "It's true, sometimes a woman's health also demands that they terminate a pregnancy, but this is in no way an easy procedure for either the woman or the doctor," Ms Simson said. EKRE's election programme states that its goal is to "reduce the number of non-medically indicated abortions with the help of various means, including by halting their funding from taxpayers' healthcare funding." The party's proposal to withdraw abortion funding was not supported at coalition talks with Centre and Isamaa this week. The State Electoral Office (RVT) has also taken issue with Martin Helme's criticism of Estonia's e-voting, confirming that Estonia's online elections can be observed and monitored. Mr Helme said on Tuesday that his trust in Estonia's e-elections was nonexistent, as it was not possible to observe or monitor them. "We are simply told to believe — but I don't believe, I want to observe and monitor," the EKRE deputy chair said on Esimene stuudio. "In other words, our primary criticism of e-elections is not that we don't want e-elections; our primary criticism is that e-elections have to be such that it would be impossible for anyone to say that they don't believe it. But we don't currently have such a situation." "In response to claims reflected in the media, the RVT confirms that the the operations of e-elections are observable and monitorable," RVT spokesperson Kristi Kirsberg told ERR this week. According to Ms Kirsberg, e-election observations begin with a training programme in the course of which all of the minutiae and technical details are explained to all participants. Observers are welcome to view all important procedures as well as participate in election tallying on election night as well as during the re-count the following day. "Observing e-elections demands certain prior knowledge, which is why training has taken place since the first e-election in 2005," Ms Kirsberg said. "Everyone interested in understanding the system ahead of the upcoming European Parliament elections is welcome to e-election observer training on 22 April." The training begins at 15:00 EET and will take place at RVT headquarters located at Toompea 1, Tallinn. Interested parties are asked to register ahead of time with the RVT. 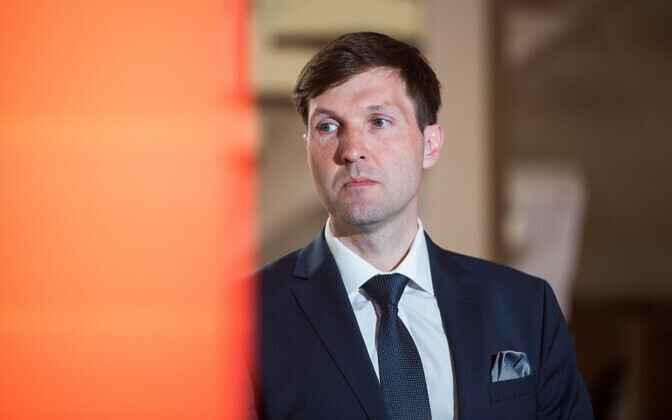 According to the RVT spokesperson, three observers from EKRE even participated in the tallying of electronically cast votes with the Estonian National Electoral Committee on 3 March. Centre, Isamaa and EKRE reached an agreement on a stricter approach to migration this week, which may also mean stricter oversight of university students coming from third countries to study in Estonia, as EKRE fears that they are coming with the intention of gaining permanent residency in the EU, a concern also reflected in Mr Helme's comments on Tuesday. 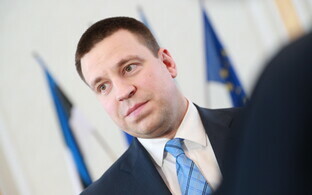 "We really do have a problem in Estonia with people saying that they are coming to Estonia to study — they don't even need to be registered anywhere at a school, by the way — they are granted a residence permit outside of the [immigration] quota, they don't attend school once, and they also have the exception that if they have been granted a residence permit as a student, and they complete their studies, they can remain in Estonia on their residence permit," the EKRE deputy chair said. "This is essentially completely bypassing the quota. This essentially renders the quota meaningless." This year, a total of nearly 7,000 foreign students are studying at Estonian universities, 5,000 of which are in degree programmes and the rest of whom are studying on exchange. The majority of foreign students are from Finland, but it is precisely third-country students who account for the next largest groups: from Russia, Nigeria and Ukraina, according to figures compiled by the Archimedes Foundation. Representatives of several Estonian universities have defended their respective foreign students and staff and their inclusion in the institutions. University of Tartu (TÜ) Vice Rector for Academic Affairs Aune Valk, for example, said that foreign students are necessary in the establishment of an international and quality learning environment, and noted that the university lacked information about any foreign students who had applied to the school simply to gain entrance to the Schengen area and then not turned up for their studies. "We base our selection of students on their academic motivation and achievements," Ms Valk explained. "We cannot monitor their movements. Thus far there has been no reason to suspect that those who come to study at TÜ abuse our admissions decision in order to travel around the Schengen area." Estonia's oldest university also considers it important that the number of foreign students allowed to study in Estonia is not decided by politicians. "The acceptance of foreign students and the assessment of their abilities is clearly the job of the university and cannot be prescribed by anyone else," Ms Valk said. "We have discussed this with the vice rectors for academic affairs and I dare say that Estonian universities are not planning on ongoing rapid growth in the number of foreign students. Rather, we are trying to either maintain the [current] level or grow it somewhat. We do, however, take into consideration the needs of Estonia's labour market, our quality of education, and the capabilities of the students to come here." She added that if Estonian universities want to be competitive on the international level, the number of foreign faculty must increase as well. The Police and Border Guard Board (PPA) also retains an overview of foreign students' visa and residence permit applications and statuses. Five applications have already been rejected in the first two months of 2019, and while the number of rejections typically remains below five per year, in 2016, the PPA rejected a total of 158 applications from prospective foreign students. The PPA typically revokes temporary residence permits once a university student has either withdrawn from school themselves or have failed out of university for not completing their programme. A record 199 temporary residence permits were revoked that had been issued to foreign students.